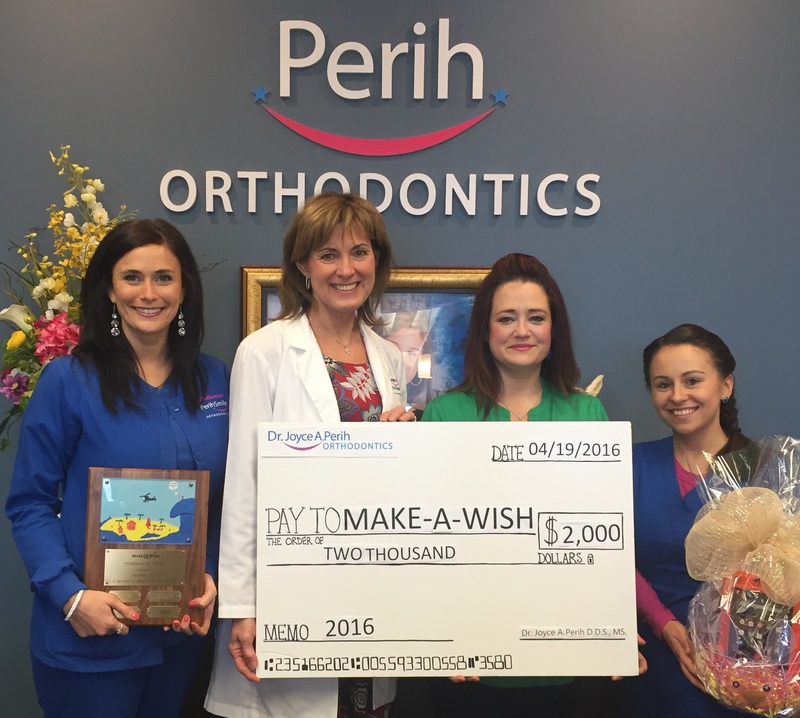 Dr. Joyce A. Perih’s orthodontic practice held office contests for patients supporting Make-A-Wish Foundation, raising $2,000 for the Simone Stefanelli Endowment, which Dr. Perih and Dr. James Stefanelli established in memory of their daughter. The fund grands wishes to children with life-threatening medical conditions living in Lackawanna, Luzerne, Wyoming, Pike, Monroe and Susquehanna counties. Pictured are, from left, Catherine Klotz, treatment coordinator; Dr. Perih; Maggie O’Brien, regional director for Make-A-Wish; and Aida Ribanovic, scheduling coordinator.